Westfield UTC (University Town Center) is an upscale open-air shopping mall in La Jolla, CA with more than 200 boutiques, department stores and restaurants. The client needed a customized lighting solution for their newly built six-story parking structure. In addition to energy efficiency and cost, an important consideration was providing bright, secure light at night when the structure is occupied while saving energy during the day when there’s sufficient sunlight or when the areas of the structure are unoccupied. FSC Lighting developed and installed a 2,100 fixture lighting solution which included 1,700 L6000 Series LED Radial Wraps across the six-story parking structure. The clean, bright light from these fixtures would provide safety and security throughout. To maximize energy efficiency and ensure ease of use, the fixtures were equipped with daylight harvesting and dimming capabilities programmable via a remote control. Prefabrication: The project had two phases, each of which had its own unique mounting requirements. 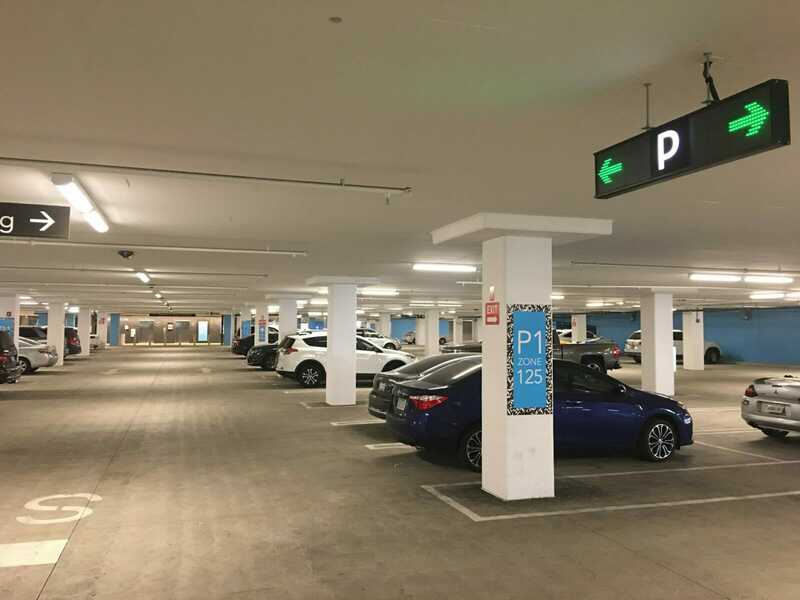 FSC Lighting was able to drill small holes in the fixture housings to match up to the parking structure fixture mounting hardware thus enabling the product to be easily installed. Specification: Collaborated with the electrical engineering firm to help specify the project – and held the spec throughout. Staging: Staged our shipments so the client would receive the material in the order they needed it, ultimately streamlining and simplifying the installation process.